Draft: 2012, Philadelphia Phillies, 7th rd. Selected by the Phillies in the seventh round of the 2012 June Draft out of the University of Texas…previously selected by the Nationals in the 44th round of the 2009 June Draft, but did not sign…his father, Brian, was selected by the Blue Jays in the seventh round of the 1978 June Draft and became the first catcher to bypass the minors and play in the majors since the first amateur draft was held in 1965…played 2 games with the Blue Jays-his only career major league action-before finishing the season with Rookielevel Medicine Hat…he played four more seasons in the minors, reaching Double-A and retiring after a series of injuries…went on to serve as a hitting coach in the Yankees organization (1991-95) and a scout in the Cubs organization (1996-2007). Split the season between Triple-A and the majors in the Phillies and Rays organizations… totaled four stints in the majors: Opening Day- April 20 and July 9 with the Phillies and July 15-20 and Sep 20 through season's end with the Rays… pitched to a 7.36 ERA (7.1-IP, 6-ER) over 14 apps between the two clubs, including 7 apps of 0.1 IP or fewer…designated for assignment by the Phillies on July 10 and acquired by the Rays for cash considerations on July 14; made his Rays debut the next day…on July 20 vs. MIA, yielded a go-ahead, 3-run homer to Derek Dietrich, the second home run allowed in his career to a lefty…in 40 apps (1 start) between Durham and Lehigh Valley at the Triple-A level, went 1-0 with a 2.88 ERA (40.2-IP, 13-ER) and 49 SO…was outrighted off the 40-man roster in November. Returned to the Phillies on 3/24 after being selected by CLE in the 2016 Rule 5 draft... Began the season with Lehigh Valley (AAA)... Had a 19.1-inning scoreless streak, 4/8-5/28 (15 G)... Had his contract selected on 6/20 and made his ML debut, 6/24 at ARI (1.0 IP, 2 H, R, ER, BB, HB, SO)... Made 21 straight scoreless appearances, 7/29-9/17 (16.2 IP); was the 4th-longest streak by a Phillies reliever since 1913... Posted a 0.83 ERA (2 ER, 21.2 IP) from 7/29 through the end of the season... Held LHH to a .159 AVG (10-63)... Did not allow a HR in 36 of his 37 ML appearances. Split the season between AA Reading and AAA Lehigh Valley, going a combined 5-4 with 6 saves and a 2.49 ERA in 49 games (65.0IP, 57H, 18ER, 15BB, 76SO)...Minor League hitters hit just .233 (57-245) on the year, including a mark of .230 (23-100, 0 HR, .559 OPS) by left-handed hitters...Righties batted .234 (34-145) and on the year batters hit .218 (26-119) off him with runners on base...Combined on the year worked at least 1.0IP in 40 of 49 outings...Worked 2.0-or-more-IP in 13 of 49 games...Did not allow a run over his 2 Eastern League playoff outings (2.2IP)...Was an Eastern League All-Star selection after posting an ERA of 1.85 (8ER/39.0IP) in the first half for the R-Phils... Appeared in 5 games in October for Lara in the Liga Venezuela Beisbol. 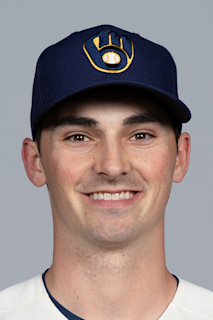 Spent majority of season with Reading (AA)… Was on DL with left shoulder impingement syndrome, 4/9-5/2… Of his 27 relief appearances, 17 were 2.0 IP or more… Allowed 8 ER and walked just 5 batters in 27.1 IP after the All-Star break (2.63 ERA). Spent season with Reading… T-3rd in Eastern League in SHO, T-5th in starts, T-7th in wins and ranked 8th in innings… Led Phillies minor league system in wins… Eastern League midseason All-Star. Spent season with Clearwater… T-1st in Florida State League in wins, ranked 3rd in SO & starts and T-3rd in innings. November 26, 2018 Tampa Bay Rays sent LHP Hoby Milner outright to Durham Bulls. November 26, 2018 LHP Hoby Milner roster status changed by Tampa Bay Rays. November 20, 2018 Tampa Bay Rays designated LHP Hoby Milner for assignment. September 20, 2018 Tampa Bay Rays recalled LHP Hoby Milner from Durham Bulls. July 21, 2018 Tampa Bay Rays optioned LHP Hoby Milner to Durham Bulls. July 15, 2018 Philadelphia Phillies traded LHP Hoby Milner to Tampa Bay Rays for cash. July 10, 2018 Philadelphia Phillies designated LHP Hoby Milner for assignment. July 9, 2018 Philadelphia Phillies recalled LHP Hoby Milner from Lehigh Valley IronPigs. April 22, 2018 Philadelphia Phillies optioned LHP Hoby Milner to Lehigh Valley IronPigs. June 20, 2017 Philadelphia Phillies selected the contract of Hoby Milner from Lehigh Valley IronPigs. June 3, 2017 LHP Hoby Milner assigned to Lehigh Valley IronPigs from Reading Fightin Phils. June 2, 2017 LHP Hoby Milner assigned to Reading Fightin Phils from Lehigh Valley IronPigs. March 26, 2017 LHP Hoby Milner assigned to Philadelphia Phillies. March 25, 2017 LHP Hoby Milner assigned to Lehigh Valley IronPigs. March 24, 2017 LHP Hoby Milner returned to Philadelphia Phillies from Cleveland Indians. December 8, 2016 Cleveland Indians claimed LHP Hoby Milner off waivers from Philadelphia Phillies. October 4, 2016 LHP Hoby Milner assigned to Cardenales de Lara. September 6, 2016 LHP Hoby Milner assigned to Reading Fightin Phils from Lehigh Valley IronPigs. August 17, 2016 LHP Hoby Milner assigned to Lehigh Valley IronPigs from Reading Fightin Phils. August 15, 2016 LHP Hoby Milner assigned to Reading Fightin Phils from Lehigh Valley IronPigs. August 9, 2016 LHP Hoby Milner assigned to Lehigh Valley IronPigs from Reading Fightin Phils. April 29, 2016 LHP Hoby Milner assigned to Reading Fightin Phils from Lehigh Valley IronPigs. April 20, 2016 LHP Hoby Milner assigned to Lehigh Valley IronPigs from Williamsport Crosscutters. April 2, 2016 LHP Hoby Milner assigned to Williamsport Crosscutters from Reading Fightin Phils. March 7, 2016 LHP Hoby Milner assigned to Philadelphia Phillies. October 29, 2015 LHP Hoby Milner assigned to Indios de Mayaguez. August 13, 2015 Reading Fightin Phils activated LHP Hoby Milner from the temporarily inactive list. August 11, 2015 Reading Fightin Phils placed LHP Hoby Milner on the temporarily inactive list. July 3, 2015 LHP Hoby Milner assigned to Reading Fightin Phils from Clearwater Threshers. June 29, 2015 Clearwater Threshers activated LHP Hoby Milner from the temporarily inactive list. June 22, 2015 Clearwater Threshers placed LHP Hoby Milner on the temporarily inactive list. June 19, 2015 LHP Hoby Milner assigned to Clearwater Threshers from Reading Fightin Phils. May 3, 2015 Reading Fightin Phils activated LHP Hoby Milner from the 7-day disabled list. April 9, 2015 Reading Fightin Phils placed LHP Hoby Milner on the 7-day disabled list. April 26, 2014 Reading Fightin Phils activated LHP Hoby Milner from the 7-day disabled list. April 11, 2014 Reading Fightin Phils placed LHP Hoby Milner on the 7-day disabled list. Left hand contusion. March 30, 2014 LHP Hoby Milner assigned to Reading Fightin Phils from Clearwater Threshers. April 3, 2013 LHP Hoby Milner assigned to Clearwater Threshers from Lakewood BlueClaws. July 4, 2012 Hoby Milner assigned to Lakewood BlueClaws from Williamsport Crosscutters. July 2, 2012 Hoby Milner assigned to Williamsport Crosscutters from Lakewood BlueClaws. June 29, 2012 Hoby Milner assigned to Lakewood BlueClaws from Williamsport Crosscutters. June 17, 2012 Hoby Milner assigned to Williamsport Crosscutters from Philadelphia Phillies. June 7, 2012 Philadelphia Phillies signed LHP Hoby Milner.